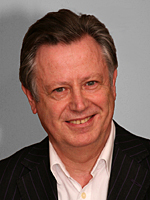 David Barling is a solicitor and a partner in a firm of solicitors Dean Wilson LLP in Brighton. He is married with two teenage children. He was first elected at the age of 26 as a member of Hove Borough Council and held various posts during his tenure such as Chairman of Planning and Chairman of Housing, becoming deputy Leader of the Council and eventually Mayor in 1983/84 – the youngest Mayor that Hove has ever had and one of the youngest Mayors in the country at the time. In 1991 David was elected an East Sussex County Councillor which he remained for four years until Hove came out of East Sussex and his seat disappeared. He has lived in his current house at Annington (part of Bramber) since 1996 and has been a member of Steyning Parish Council since 2009. He was Chairman of Steyning Parish Council from 2011 to 2013. He has a wide variety of interests and is a member of several local clubs and societies. He takes a keen interest in countryside matters, the economy, and educational matters (only having had two children at schools recently).